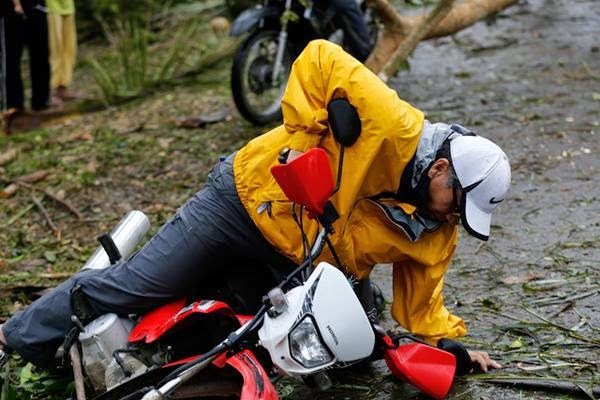 Husband and wife, DILG Secretary Mar Roxas and ABS-CBN broadcaster Korina Sanchez have become subjects of new controversies which arose in relation to Typhoon Ruby ('Hagupit') that recently lashed the Philippines. 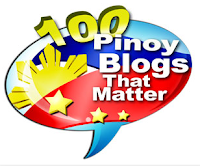 Last Wednesday, December 3, during TV Patrol's casual banter segment among its news anchors right before the program ended, Korina Sanchez wished that Typhoon 'Ruby', which was about to enter the Philippine Area of Responsibility (PAR) then, will spare the Philippines and go to Japan instead. According to the multi-awarded broadcaster, Japan can handle the typhoon more than us. Korina Sanchez: "Kaya pa nating ipagdasal 'yan na lumihis si Ruby'"
Noli de Castro: ""Pwede bang hati na lang? Kalahati sa Pilipinas, kalahati sa Japan." Korina: "O pwde bang sa kanila lahat? Korina: "Sa kanila na lang lahat. Parang mas kaya nila,""
It seemed like a joke, and Korina was probably trying to be nationalistic and care about us in that statement, but sadly, it was kinda insensitive and uncalled-for, especially that she's a public figure, and that we also have fellow Filipinos in Japan. And of course, it's never good to wish harm on other people. That's for sure what the netizens have in mind as they criticize once again Ms. Korina for that, a year after she also made a controversial remark against a blonde reporter (believed to be CNN reporter Anderson Cooper) who she described as "mali-mali" in reporting about Typhoon Yolanda. Even some celebrities have joined the "lambasting" in social media against Korina's joke about Japan, such as Joey De Leon (@AngPoetNyo) and DJ Mo Twister (@djmotwister), as if they never did or said something insensitive in the past. AngPoetNyo: "dun sa mga umaasa na lumihis ang bagyo at dumiretso na lang sa japan eh WAG NAMAN. pwede namang HUMINA na lang katulad ng utak nung umasa!" AngPoetNyo: "JAPAN now is "Just Always Pray At Night". Dapat din daw ay "Just Always Pray And Newsread"!" AngPoetNyo: "HOLLAND---Hope Our Lash (hagupit) Leaves Arriving Nippon Directly ! Ngek ! JAPAN---Just Always Pray And Newsread (na lang)!" djmotwister: "Japan has some better smelling seafood than Korina Sanchez's unmentionables." DJ Mo even tagged Japan's Prime Minister in another tweet. "Dear @JPN_PMO, please accept our apologies re: the behavior of our f-cktard former Vice President and his douchelord co-host Korina Sanchez." Roxas, who's a possible Presidential candidate in 2016. Last Friday, December 5, 2 days after Korina made the controversial comment, Sec. Mar went to Eastern Samar, where 'Ruby' made landfall the next day. As reported in the DILG website, he went there to personally help the Local Government Units (LGUs) there to prepare for the typhoon. A day after the landfall, he was seen inspecting on 'Ruby's ' damages in the area and also to do relief operations. Sec. Mar fell from a motorbike while traveling from Borongan to Dolores, Eastern Samar.